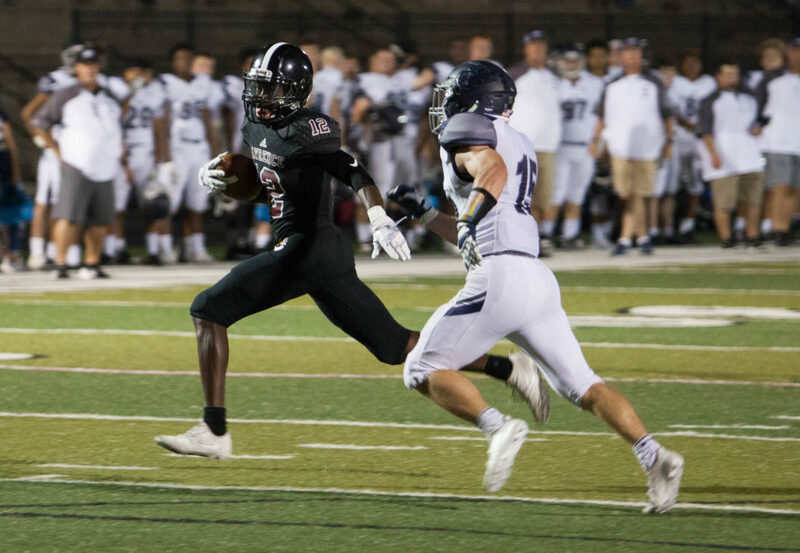 Lawrence Highs senior receiver Ekow Boye-Doe tries to shake a tackler from Lee's Summit West on Friday at LHS. 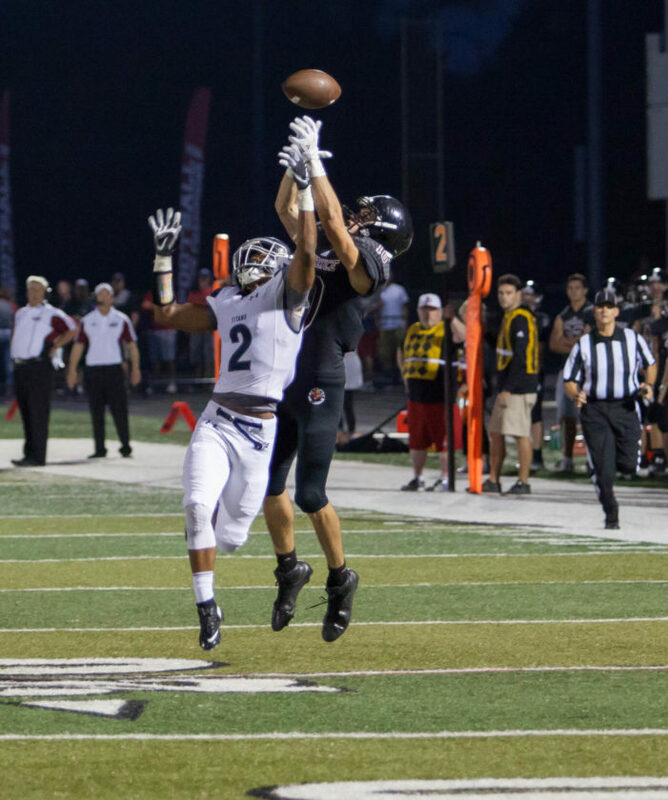 Lawrence High junior receiver Brett Chapple reaches over a cornerback from Lee's Summit West trying to make a catch on Friday at LHS. 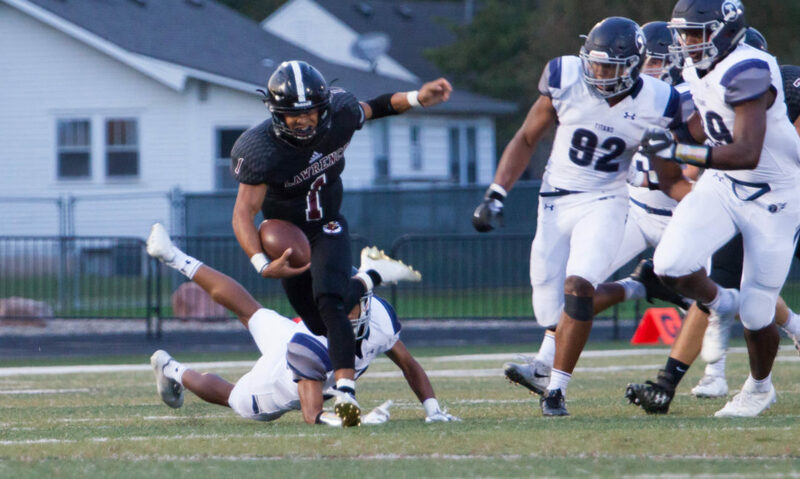 Lawrence High quarterback Dante Jackson (1) slips past a tackler from Lee's Summit West for a touchdown in the first quarter of Friday's game at LHS. 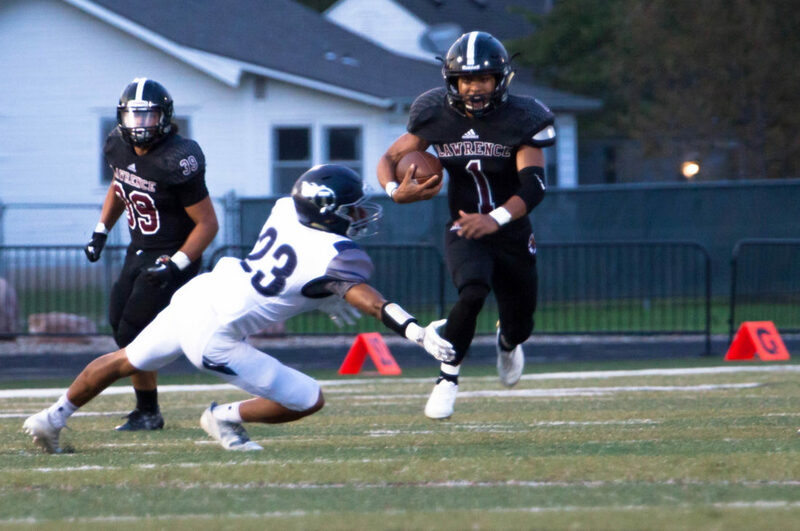 Lawrence High senior quarterback Dante Jackson (1) breaks a tackle against Lee's Summit West on Friday at LHS. 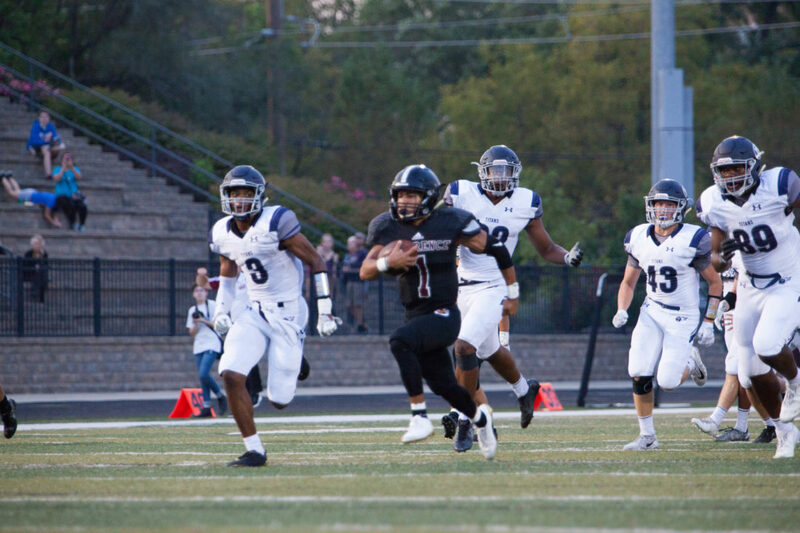 Lawrence High senior quarterback Dante Jackson (1) races past Lee's Summit West's defense on Friday at LHS.